THE RIGHT CHOICE, FREE AND RENEWABLE FOR YOUR COMFORT AND THE ENVIRONMENT. 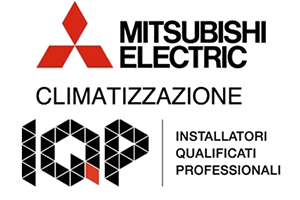 AirClima has specialized for years in the installation of heat pumps from Mitsubishi Electric. The heat pump is a technology that enables maximum energy efficiency as it can collect free thermal energy from external sources, transferring it within your environments with maximum performance and yields in terms of energy consumption, thereby drastically reducing consumption , especially when compared to traditional gas boilers or oil boilers (not to mention their polluting emissions released into the atmosphere). A heat pump system may represent the ideal solution for both summer air conditioning, and for the winter one, as well as for the production of sanitary hot water (in substitution of the the classic boiler); all aspects that make it the ideal choice in any circumstance and for the sustainability of any building as apartments, offices, shops, small businesses, industries and warehouses. In order to better tell the merits and benefits of a heat pump, we thought about a website devoted to this theme, in which we can also explain the features and specifications of the installations of heat pumps from Mitsubishi Electric. The site is currently being restyled, please contact us for any feedback or requests for further information. Discover the website dedicated to the world of heat pumps. You'll find all the answers you need. Book an appointment at home to Milan to talk to our experts and design a system of heat pumps for your environments.